Not all cold fronts are bad? Yup, that’s right. I’ve seen it before and this latest cold front proves it again that some cold fronts actually help the fishing. This latest cold front is another example. The week before the front we had a slight lull in the fishing. The days prior to the front the fishing increased like normal. But it was after the front came through that the unexpected happened. 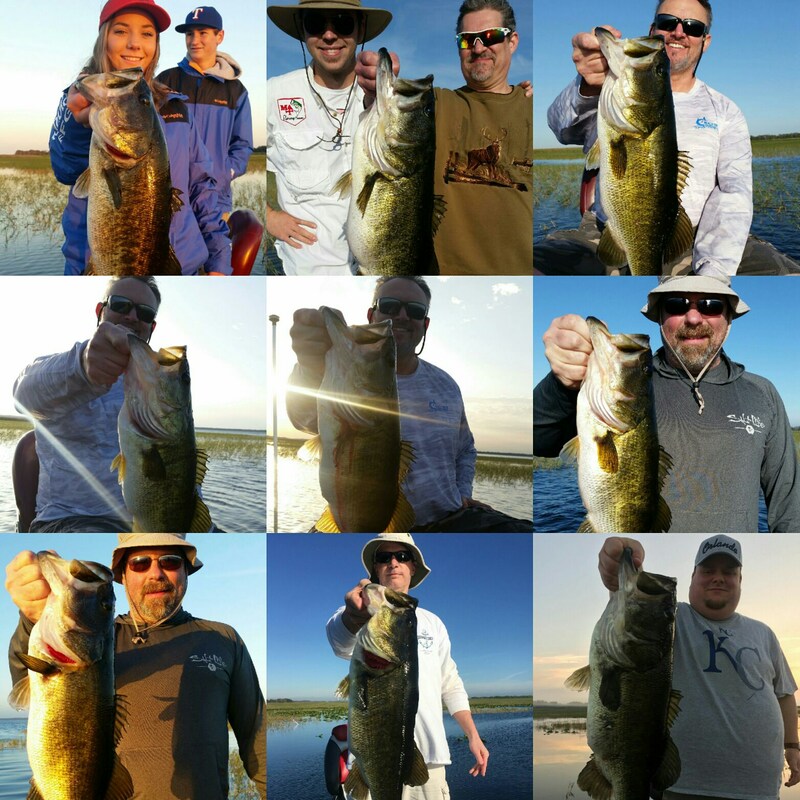 The fishing went lights out and all of our guides began hoisting in multiple giant Toho bass each day (collage above). A 12 pound 9 ounce behemoth was just boated today with Capt. Jamie Jackson under heavy 20mph winds. The fishing has indeed gotten better. 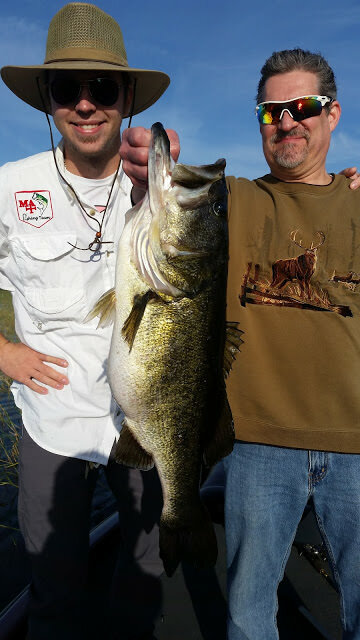 I believe the cold front cooled the water just enough that it sent another group of giant Toho bass up to spawn. Another perfect example of that is one day of fishing that I had about 3 or 4 months ago. I went out for about 4 hours in the morning and I hadn’t paid much attention to the weather for the last couple of days. It seemed like a nice day for fishing to me and it turned out to be true. I had caught a 7 pounder, two 5 pounders, and several 3’s all within a couple of hours. When I had finally gone in I asked the guides how there day went. They all had bad days each of them catching no more than 3 or 4 small fish. All of them complaining and blaming it on the cold front that had gone through. Cold front? I mean it was slightly cooler but I had no idea that a cold front had gone through. If I had known I probably would have fished differently and done much worse. That was the day that I realized that cold fronts sometimes affect fisherman more than they affect the bass. They had convinced themselves that the fish weren’t going to bite good before they had even gotten to the ramp. Now I’m not saying that the fishing is always good after a cold front. Most of the time that is not the case, especially with Florida strain bass. But if you keep and open mind and wait until the fish prove to you that the cold front has affected them, then you may find that not all cold fronts are bad.